It’s #travel time – and according to Airlines for America (A4A), the trade organization for the leading U.S. airlines, there will be 25.3 million passengers on U.S. airlines during the 12-day Thanksgiving travel period, the highest number since the Great Recession. This is why each year I contact the airlines to request nutrition information for the foods they serve economy-class passengers on domestic flights. Virgin America is still doing a fantastic job of creating healthy #food and offering strong choices in all categories except for individual snacks. The airline is still the clear leader when it comes to healthier foods, but they could still do much better on the individual snacks. In fact, all the airlines could do better with their snack choices – there is no clear leader. Following Virgin America there is a tie for second place between JetBlue and Delta, whose foods are comparatively healthier than those of other airlines. The “Shame on You” award goes to Alaska, Spirit, and Frontier airlines. Hawaiian Air was not much better, but at least this year they returned an email with some information. Also, it’s great that Virgin America, JetBlue and Delta are sharing nutritional information for some of their foods. The average number of calories per food item was 360 in 2012; in 2013 it was 388; last year 397, and this year it’s 400 (399.96), a 3 calorie increase over last year. In addition, they also appear to be decreasing the number of choices they offer. Here are the food-service offerings from several of the more popular airlines, along with #Diet Detective’s comments, ratings (Health Score: 5 stars = highest rating), calories, exercise equivalents (amount of walking required to burn off the food consumed) and personal favorites. 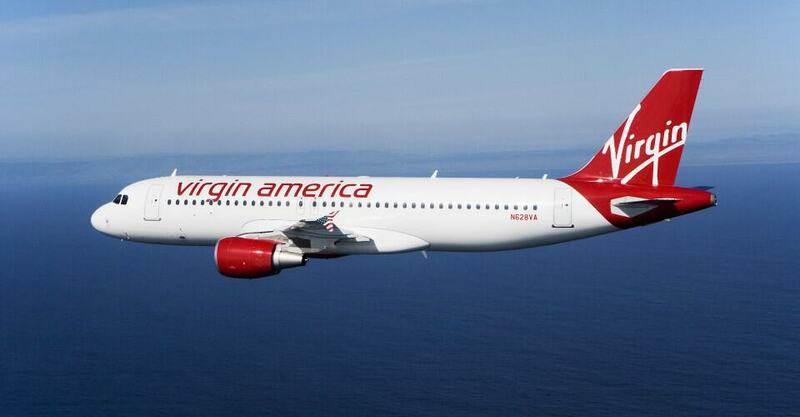 Comments: Average calories for all items on Virgin America fell this year from 386.25 to 352.27 – a 34 calorie drop – that’s good news. But I still don’t understand why VA doesn’t put all their nutritional information on their website and in the air. Another year and the snacks are still the same – can’t we get at least one super healthy snack? How about an apple or an orange? But I am impressed that the total for the average meal has dropped by more than 70 calories – a 15 percent reduction. Nice work. Best Bets: Avoid the individual snacks, since none of them is very healthy. Even the nuts, which are the best choice, are high in calories if you consume the entire package. In general, almost all the meals (as long as they’re eaten as meals and not snacks) are good choices. I was sorry to see the Salmon Ginger Salad go. However, the Ginger Chicken Soba Noodles at only 328 calories is a good choice and high in protein, which will help keep you full longer. If you like tuna, the Provencal Tuna Sandwich is a reasonably good choice with a nice amount of protein and low-fat mayo, The Protein Plate is also a good choice, as is the Vegan Wrap with veggies and humus – powerful from a health perspective. Again, these are meals that will fill you up and help you avoid the junk. The good news is that none of the food goes overboard in terms of calories, so you really can’t go too far wrong. Grilled sliced chicken breast, soba noodles, julienne red bell peppers, carrots, shiitake mushrooms, sliced scallions, edamame soy beans, sliced English cucumbers, cilantro sprig, and ponzu ginger sesame vinaigrette. Lemon cilantro tortilla, white bean hummus with curry, curry pepper lime potato salad, Major Grey chutney, arugula, carrot julienne, English cucumber slices, cherry tomato halves, and Italian parsley. Fruit salad with pineapples, red grapes, and mangoes. Grilled flat bread panini, savory Korean flavors of gochujang and grilled bulgogi style chicken breast, chopped Romaine lettuce, sliced scallions, chopped Roma tomatoes, English cucumbers, and sliced radishes. Albacore tuna salad tossed with extra virgin olive oil, capers, lemon juice, and lemon zest, low fat mayonnaise, sliced cage free hard boiled eggs, sliced red onion, roasted red pepper strips, sliced Roma tomatoes, Bibb lettuce, cornichon pickles in a multigrain bun. Red seedless grapes, fontina, brie, and sharp cheddar wedges, seasonal dried fruit, and gluten free olive oil and sea salt crackers. Gluten free corn crackers served aside Swiss, cheddar, and brie cheeses, with green and red grape bunches, candied fig, and guava paste. Cage free hard-boiled egg, sharp cheddar cheese, fontina cheese, grilled chicken breast slice, red grape tomatoes, red grape cluster, carrot, celery, and cucumber batons, wheat mini pita rounds, and served with edamame hummus. Fruit yogurt served with Udi’s Gluten Free Granola and a fruit cup of pineapple, mango, grapes, orange, strawberry. Grilled chicken breast, fresh spinach leaves, sundried tomatoes, grilled zucchini slices, basil pesto and fresh parmesan cheese on a wheat baguette, and served with a Mexican oblea candy for dessert. Ginger marinated beef, green pepper, jicama, tomato, Italian lettuce and Monterrey cheese strips with ginger dressing, all wrapped in a fine herb tortilla and served with pico de gallo and quinoa salad on the side, and a Mexican candy for dessert. Comments: Delta continues to work with Luvo (www.Luvoinc.com), which has a very strong commitment to healthy eating. All the calorie information for the Luvo snacks is listed on Delta’s menu (and online); however, it would be wonderful to also list the other nutrient information, because some people are just not calorie people. Complimentary snacks are now available on trips of more than 900 miles, not 600 – all the more reason to think about the food you’re going to eat before you start your travels. Best Bets: For the free snacks (on flights of more than 1.5 hours) the peanuts are the best choice. None of the “for sale” individual snacks is a good choice – still – same as last year. If you do get the nut mix, make sure to share it with at least two others. The snack boxes are very high in calories too. However, there are some good choices within the EATS Tapas box; you can certainly eat the hummus, bruschetta, olives, almonds, apricots and dark chocolate. Skip the rest, and make this a meal, not a snack. The reality is that Delta is a big airline and has a complicated menu. It changes depending on where you are flying, so make sure to check below and online to see the food choices before you’re in the air. Of the breakfast options, on almost all flights you will see the continental breakfast. It’s 300 calories, but you can skip the muffin and save calories. If you’re on a transcontinental flight, your best bet is the LUVO Fresh Breakfast Medley (without the muffin). For Lunch/Dinner on regular westbound flights, the LUVO Grilled Chicken Wrap, and on eastbound flights the LUVO Roast Turkey & Havarti Wrap, are good choices (the sandwiches are available in reverse from last year). Again, you can skip the cookie to save calories. For Lunch/Dinner transcontinental flights the LUVO Quinoa Crunch Wrap Snack Box is a good choice and will fill you up; you can skip the cookie to save calories if you want. Don’t fall for the high calories in the Roast Beef Slider Combo or the Black Angus Burger. Passengers on shorter flights receive a single complimentary snack of Biscoff cookies in the morning and pretzels in the afternoon. Old Wisconsin Beef Salami Slices (90 calories), Nabisco Wheat Thins (70 calories), Rondelé Peppercorn Parmesan Cheese Spread (136 calories), Pepperidge Farm Cheddar Goldfish Crackers (100 calories), Welch’s Fruit Snacks Mixed Fruit (80 calories), Oreo Cookies (100 calories), Tic Tac Fresh Mints (10 calories). Total = 746 calories/161 minutes of walking. Stacy’s Pita Chips – Simply Naked (130 calories), GoPicnic Garden Hummus Dip (87 calories), Dipin Bruschetta – Pepper & Artichoke (30 calories), Crunchmaster Multi-Grain Crackers (60 calories), Dancing Deer Cookie Nibbles – Sweet Lemon (100 calories), Vacaville Mediterranean Apricots (80 calories), King’s Roasted Almonds (130 calories), Varda – Dark Chocolatier (30 calories), Olympos Pitted Greek Olive Mix (50 calories). Total = 677calories/ 146 minutes of walking. A selection of Wisconsin cheeses: sharp cheddar, Edam and smoked Gouda complemented with olive oil and sea salt crackers, dried apricots, seedless red grapes, Ghirardelli Dark Sea Salt Soiree, and heart-healthy, omega-3 rich California walnuts. Sliced tender roasted turkey breast combined with sliced muenster cheese and baby spinach on a lightly buttered fresh muesli roll with honey mustard and mayonnaise on the side. Total = 560 calories/121 minutes of walking. A light fare breakfast option, including perfectly delicious Yoplait Greek Yogurt, Fieldstone Bakery Granola, mini lemon yogurt muffin and seedless red grapes. Total = 300 calories/65 minutes of walking. Freshly sliced roast beef on two La Brea Bakery slider rolls layered with romaine lettuce and Havarti cheese with sides of horseradish aioli and Dijon mustard. This combo is paired with Cape Cod Kettle Cooked Chips and a Dancing Deer Baking Co. Toffee Almond Cookie. Sliced roast turkey breast, Havarti cheese, quinoa and black rice salad, arugula and edamame hummus, wrapped in a tomato flaxseed tortilla. Served with a multi-seed coconut chocolate chip cookie. Cage-free hardboiled egg, side of sweetened chia ricotta, sliced Fuji apples, an organic strawberry, organic chocolate and multi-seed mini-muffins. Served with Luvo Organic Green Earl Grey tea. Cage-free hardboiled egg, quinoa and black rice salad, Asiago cheese, arugula, and red pepper hummus in a spinach flaxseed tortilla. Served with Luvo Organic Green Earl Grey tea. A 6 oz. Black Angus burger served on a corn dusted Kaiser bun. This hearty, flavorful delight is accompanied with mild cheddar cheese, roma tomatoes, romaine lettuce, ketchup, mustard and mayonnaise. Fresh, crunchy vegetables, avocado, edamame hummus and quinoa and black rice salad wrapped in a spinach flaxseed tortilla. Served with a multiseed coconut chocolate chip cookie. An infusion of Pacific Rim flavors. Sliced grilled chicken on top of lo mein noodles tossed with chopped cilantro, chives, sesame seeds and Asian dressing. This is served with wonton strips on the side. Total= 540 calories/ 117 minutes of walking. Crust, whole milk mozzarella cheese, naturally smoked pepperoni and imported Pecorino Romano cheese. Total = 430 calories/ 93 minutes of walking. Comments: Not much has changed with JetBlue except that the calorie count for the snack boxes is up by an average of 30 calories from last year. The individual snacks are still low in calories and nutritional value. The airline is showing progress, however, by posting nutritional information for its meals (See: http://www.jetblue.com/flying-on-jetblue/snacks-and-drinks/nutrition-facts/). All the other foods are packaged, so they must not feel the need. Best Bets: This is the third year in a row that JetBlue has not done much with its snacks-still nothing much in terms of healthy individual snacks, and no nuts (maybe because of peanut allergies?). And keep in mind, just because the individual snacks are free doesn’t mean you should take more than one. If you buy the New York Nut Factory Omega-3 Mega Mix you need to share it with at least 3 other people, and avoid the jerky if you’re sodium sensitive. As for the meal boxes, Pump Up has healthy ingredients (Mary’s Gone Crackers-Original, olives, humus and raisins) but remember that it’s a meal and should not be eaten as a snack. Skip the other meal boxes, which are high in calories and fat and offer little in terms of nutrition. If you are on a flight that offers the Eat Up Café, the Yogurt and granola, the Kale & Quinoa Salad, the Spicy Soba & Korean-Style Chicken, and the Veggie Platter are all good choices. Skip the Grilled Chicken and Brie Sandwich, which is very high in calories and low on nutrition. Whole Grain Cheez-it Cheddar Cheese Crackers (130 calories), KIND Granola Bar Oats & Honey (150 calories), Gilman White Cheddar Cheese Stick (90 calories), GoGo Squeez Applesauce – AppleApple (60 calories), Yum Earth Naturals Fruit Snacks (70 calories). Total = 500 calories/108 minutes of walking. Stacy’s Pita Chips (130 calories), Rondele Peppercorn Parmesan Cheese Spread (86 calories), Vermont Smoke & Cure BBQ Beef Jerky Stick (45 calories), Cranberry Almond KIND Bar Mini (110 calories), New York Nut Factory Roasted Salted Cashews (123 calories). Pick Pocket Roasted Red Pepper Hummus (84 calories), Mary’s Gone Crackers (80 calories), Olives Basil & Garlic (50 calories), Enlightened Broad Beans Sea Salt (100 calories), 2 Degree Chocolate Banana Mini Snack Bar (100 calories). Total = 414 calories/89 minutes of walking. PretzelHaus Soft Pretzel (190 calories), Heritage Spicy Brown Mustard Dip (50 calories), Field Trip Turkey Jerky (45 calories), Plain M&Ms Fun Size (80 calories). Total = 365 calories/79 minutes of walking. Total=210 calories/45 minutes of walking. Total=510 calories/110 minutes of walking. Total = 680 calories/147 minutes of walking. Total = 600 calories/130 minutes of walking. Total = 580 calories/125 minutes of walking. Total = 320 calories/69 minutes of walking. Comments: The staff is VERY helpful in getting the information out, which is nice, and shows that Air Canada cares about its food. It keeps calorie counts low for meals. That’s the good news. The bad news is that when I look for healthy choices, defined as high in nutrient value, there is not a lot to choose from. Best Bets: For breakfast, the Greek yogurt parfait is good – and will probably fill you up. And while the egg sandwich has bacon, it’s still low in calories. If you’re looking for a snack, pick the Chicken Soup. It’s more like a meal than a snack – a good thing. The cashews or almonds need to be shared. The Celery & Carrots with Ranch Dip (if you limit the dip to no more than half) is also a good choice. While the hummus sounds healthy, the pretzels offer little nutritionally, and you’d be better off having a meal if meals are available. The Chicken Club Wrap is good; it has turkey bacon, which is better than regular bacon. I would skip the falafels. On flights of more than 4 hours departing from Montreal, Toronto and Vancouver, the sushi is a very good choice. Total = 260 calories/ 56 minutes of walking. Total=160 calories / 35 minutes of walking. Total = 360 calories (4 minis) / 78 minutes of walking. Total = 450 calories / 97 minutes of walking. Penne pasta in a tomato sauce with all-beef meatballs, parmesan and oregano, served with a dinner roll. Total=450 calories / 97 minutes of walking. Total=490 calories / 106 minutes of walking. Total=340 calories / 73 minutes of walking. Roasted chicken strips with citrus black pepper mayonnaise, turkey bacon, plum tomatoes and iceberg lettuce on flatbread. Total=360 calories / 78 minutes of walking. Falafels with red peppers, baby spinach, tzatziki, and red onions in a whole wheat wrap. Total= 370 calories/ 80 minutes of walking. A combination of California, Spicy California and Vegetable Salad Sushi Rolls. Comments: Hmm… the snacks and snack boxes are moving in the wrong direction – more calories, not fewer. But the meals are getting lower in calories. The breakfast offerings are strong, but lunch and dinner are so/so. Best Bets: Among the individual snacks the Sweet & Savory Bistro Blend Trail Mix is a good choice only if you share it with three others Get the Tapas snack box, which is high in calories but has many healthy foods, including almonds, olives, hummus and bruschetta-just toss out the cheese spread. You should also share it unless you’re eating it as a meal. Skip the Classic and Select snack boxes. For breakfast, your best bet is the Fresh Start Breakfast Selection or the oatmeal. Too bad they took the egg out of the breakfast offerings – that was good nutrient-wise. Skip the ham baguette. For Lunch/Dinner, while high in calories, the wrap and salad combo is best; skip the country bowl even though it’s low in calories. And definitely skip the Italian sandwich at 741 calories. Graham crackers, Nutella Hazelnut Spread, Whole Natural Almonds & Dried Apricots. Hormel Genoa Salami , Glacier Ridge Farms Smoked Gouda Gourmet Cheese Cup, Mediterranean Snacks Cracked Pepper Lentil Crackers, Snyder’s of Hanover Gluten Free Pretzel Sticks, Chlostro di Saronno Crunchy Amaretti Cookie , MadiK’s Hickory Smoked Almonds, Marzetti Honey Mustard Sauce. Fresh fruit, gruyere cheese and zucchini bread. Cranberries, brown sugar and butter. Sliced ham and cheddar cheese with whipped maple syrup cream cheese spread on a sweet brioche baguette. Scrambled eggs with roasted potatoes, butternut squash, black beans and leeks, topped with shredded pepper jack cheese, roasted tomato salsa and chopped herbs. Four-cheese selection with crackers, grapes, honey, and chocolate. A half-wrap with grilled chicken, avocado, roasted corn medley, romaine lettuce, sliced carrots and buffalo cream cheese spread. Accompanied with jicama and cabbage slaw with freshly cut bell peppers, carrots and a side of jalapeño ranch dressing. Paired with seedless red grapes and a Godiva chocolate to finish. Our take on a classic: sliced salami, ham and provolone cheese with a creamy basil pesto spread on a baguette. Comments: AA’s average snack calories have gone down significantly – good work. However, for one of the largest airlines in the U.S., overall the choice of healthy foods is not great. While the offerings are not bad, it would be great, now that they’ve merged with US Airways, if they just hunkered down and focused on the food. Best Bets: For individual snacks the hummus and chips are your best choice. Skip the snack box unless you toss the salami and cheese. The Chicken Cobb Salad is a very good choice -so long as that’s all you eat. The Asian chicken wrap is a bit high in calories but not terrible at 620. For breakfast on flights of more than two but less than three hours (see below) there’s not much to eat; you can get the snack pack and at least the almonds will fill you up. On flights of three hours or more, the Breakfast Sandwich is an OK choice. The fruit and cheese plate is a good mix of fruit and nuts, and the cheese can be OK if you share it with your seatmate. Sliced smoked turkey and Swiss cheese on a croissant. Sliced chicken, broccoli slaw and mixed greens in a mandarin orange wrap, accompanied by oriental sesame dressing. Served with kettle chips. Chicken breast, romaine lettuce, turkey bacon, corn, tomatoes and blue cheese crumbles. Served with creamy ranch dressing. Comments: For the first few years of the survey Alaska Airlines was excited to be a part of the mix. Now, they say they want to opt out. Too bad Alaska – this is not an opt in-or-out kind of thing. Just because you’re not happy with the results, you can’t pull out. Interestingly enough, the average number of calories in their foods has skyrocketed from 444 to 537. The calories in an average meal also went up significantly from 456 to 606. I was looking over Alaska Airlines’ website, and under its snack section they have the following under the header Healthy Snacks: “Our inflight snacks are a little different, we offer a range of snack boxes that are free of Trans fat, high fructose corn syrup, and MSG.” They’ve actually added the term “Healthy Snacks” since last year – and it’s not entirely accurate. While having no MSG, HGCS or trans fat is good, there are many products that have eliminated those ingredients and are still not healthy – basically, it’s a marketing ploy. Keep in mind, all nutritional information for Alaska Airlines has been calculated by our staff registered dietitian. Homestyle Chicken Dinner at 453 calories. Late July organic Multigrain Snack Chips, Mario Snack Olives, Truitt Family Foods Natural Hummus, almonds, apricots, dark chocolate. Total = 497 calories/107 minutes of walking. Kettle Brand Sea Salt Potato Chips, Old Wisconsin Salami, La Panzanella Multigrain Crackers, Sahale Fruit & Almond Snack, Dark Chocolate Almond Roca, Glacier Ridge Farms Smoked Gouda Cheese Spread. Total = 526 calories/114 minutes of walking. Total = 335 calories/72 minutes of walking. Slices of flavorful chicken apple sausage are mixed with fluffy scrambled eggs, home-style potatoes, diced red pepper, and topped with parmesan cheese. Roast turkey, peppery arugula and smooth provolone meet up in a soft, slightly sweet bun made memorable with espresso mayo – delivering a toasty-smoky flavor and a nod to the Seattle coffee scene. Served with thick-cut potato chips, this sandwich is a celebration of big flavors just the way Tom likes it. Turkey and a seasonal hash of roasted sweet potato, onion, and kale. Highlighted with an herb butter and topped with seasoned bread crumbs, this is comfort food at 30,000 feet. Roasted chicken with home-style gravy is served alongside mashed potatoes and crisp green beans. Meals on Flights to and from Hawaii departing before 9:30 a.m.
Start your day with a dash of aloha. Our Island Hash blends island-style potatoes, onions, and peppers. Served with scrambled eggsand a side of Portuguese sausage. Meals on Flights departing from Hawaii after 9:30 a.m.
Chicken, stir-fry vegetables and steamed rice – and all topped off with a uniquely Hawaiian specialty, savory and sweet Huli-Huli sauce. Comments: The media representative was better than last year. However, the airline has eliminated many of its healthier selections, including chips and salsa and the fruit and cheese plate as well as its very high calorie Italian sandwich and other not-so-healthy snacks. There are few choices on this airline – there should be more. Best Bets: Other than the humus, the snack boxes are not great in terms of health (and not just calorie-wise). Avoid the Deli Snack Pack and don’t let your kids near the Wingz Kids Snack Pack. Among the individual snacks, nuts are the healthiest choice. Snyders of Hanover Mini Pretzels (100 calories), Glacier Ridge Farms Smoked Gouda Gourmet Spreadable Cheese (70 calories), Kings Delicious Mountain Trail Mix (130 calories), DiBella Biscotti Caramello Latte (70 calories), Old Wisconsin 0.5 oz Beef Snack Stick (50 calories), Mentos Mint Single (10 calories). Wild Garden hummus accompanied by whole-grain pita chips. Goldfish Baked Giant Grahams Chocolate, Ritz Peanut Butter Cracker Sandwiches, Professor Zim Zam’s Extraordinary Sweets Jelly Jets. Comments: Paraphrasing spokesperson Paul Berry, the airline believes it’s doing passengers a favor. Their media department is arrogant and snarky – they just don’t care, maybe just like the airline? This year, because they didn’t like their previous rating, they decided to not participate. I guess if you drop the price low enough anyone will fly on anything. Again paraphrasing Mr. Berry from last year: passengers should bring their own food and drinks. But in my opinion, the airline has a responsibility to serve foods that are healthier. As a passenger you don’t have too many options if you don’t bring your own food. Why not offer 3 or 4 healthy foods? Best Bet: The cup of noodle soup at 290 calories is the only choice that will feel like a real meal. Watch out for the Nuggets & Nuts at 600 calories, and all the muffins are at least 400 calories-not the best choices unless you split one (if you’re the type of person who can do that). Bringing your own food is actually the best option. Comments: Last year the PR / Media team behaved shamefully. They did not provide nutritional information either last year or this year; they were radio silent. So, Frontier, how about getting a few healthy food choices? A meal? A snack box? Best Bets: Bring your own food. There is nothing healthy here; however, if you’re not sodium sensitive you can grab the jerky. Comments: Wow, they have lots of snacks! And this year I was surprised that the airline actually sent over some nutritional information for its snacks – much better than last year. They claim that getting the info for the other foods would cost $17,000 -which is ridiculous. The #airline food provider has exact recipes for these foods; otherwise they would taste different each time, and they don’t. The airline could easily get a nutritionist to do the menu analysis. But, since they didn’t, the calories for all the meals were estimated by Diet Detective nutritionists. Hawaiian is one of the few airlines to serve free food on domestic flights. But watch out-their food is high in calories. Best Bets: There are no healthy snacks (or meals either), but if I had to pick one – gosh – the popcorn — nah. Bring your own. For the complimentary meals try to go light on the breads, treats and dressings. 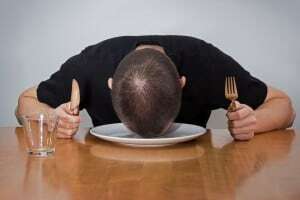 In the end, it would be best to eat before you go, or else you might wind up feeling lethargic and cranky after one of these calorie-heavy meals. Good Bean Roasted Chickpea Snacks (90 calories / 19 minutes of walking), Crackers (60 calories/ 13 minutes of walking), Welch’s Fruit Snacks (80 calories/ 17 minutes of walking), hummus (67 calories / 14 minutes of walking). Penne Bolognese with olives and parmesan cheese, mixed green salad with Italian herb vinaigrette dressing, Sweet Treat. Prior to arrival: Fresh fruit & sweet treat. Egg, cheddar, and mushroom breakfast sandwich on flatbread with Tim’s Hawaiian Sweet Maui Onion Chips and complimentary Koloa Breeze Rum Punch.